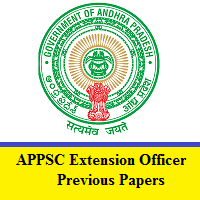 APPSC Extension Officer Previous Papers: Candidates who are ready to take part in the upcoming Extension Officer Grade I (Supervisor) Written Examination must refer to this page to get all the subject wise APPSC Extension Officer Model Papers. Furthermore, the officials of the Andhra Pradesh Public Service Commission (APPSC) are ready to conduct the Prelims Exam on 25th April 2019. And the Mains test is to be conducted in the month of May 2019. And in the below sections of this page, you can find the latest psc.ap.gov.in Selection Process 2019, AP PSC EO Exam Pattern. You can download the Andhra Pradesh PSC Extension Officer Sample Papers in PDF formats from the bottom of this page. The officials of the Andhra Pradesh Public Service Commission (APPSC) had announced that there are three rounds to hire suitable and talented candidates. 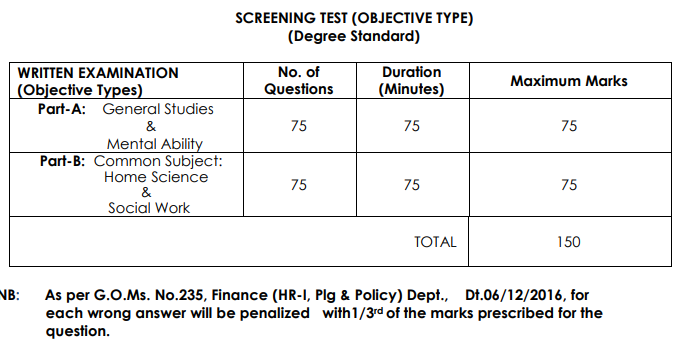 So, for that purpose, you need to have a look over the psc.ap.gov.in Selection Process 2019 as given below. only the candidates who qualify the Preliminary test can only have the scope to attend for the Mains Examination. In the current segment of this page, we have provided the latest AP PSC EO Exam Pattern for the Prelims & Mains. So, candidates who are ready to take part in the upcoming test need to look at the below tables. Without notifying the exam pattern, no candidate can attempt the test easily. So, by referring to these patterns, you can find the test type, time duration, the maximum marks. Also, you can identify the subject names and the number of questions given for the test. There is negative marking assigned for the test. So, check them and then move for the preparation process. 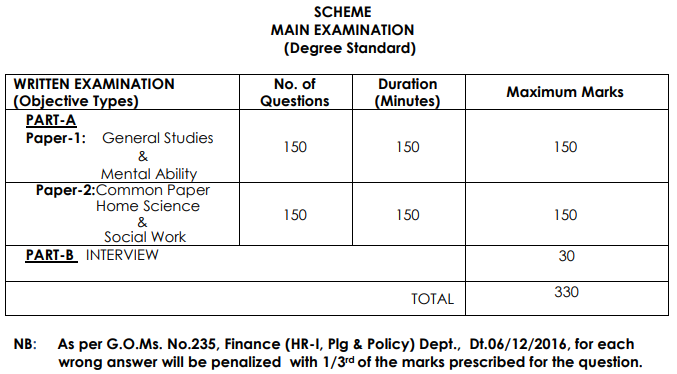 We heard that many of the applied candidates are in search of the APPSC EO Grade – I Old Question Papers. So, for the sake of such candidates, we have gathered all the previous papers and then kept them within the direct link to the end of this article. So, by solving more and more APPSC Extension Officer Previous Papers you can easily enhance your answering skills as well as logical abilities. Therefore, with the given subject wise Andhra Pradesh PSC Extension Officer Sample Papers you can get the questions as well as answers. We hope all the candidates will download the APPSC EO Sample Papers from the above links. So, keep watching us on FreshersNow.Com for such latest updates.